Skolnick, who also serves as Director of the Integrative BioSystems Institute, will be presented the award and its $10,000 honorarium on March 18, 2014 at the SURA Board of Trustees meeting at the University of West Virginia at the SURA’s spring board of trustee’s meeting. 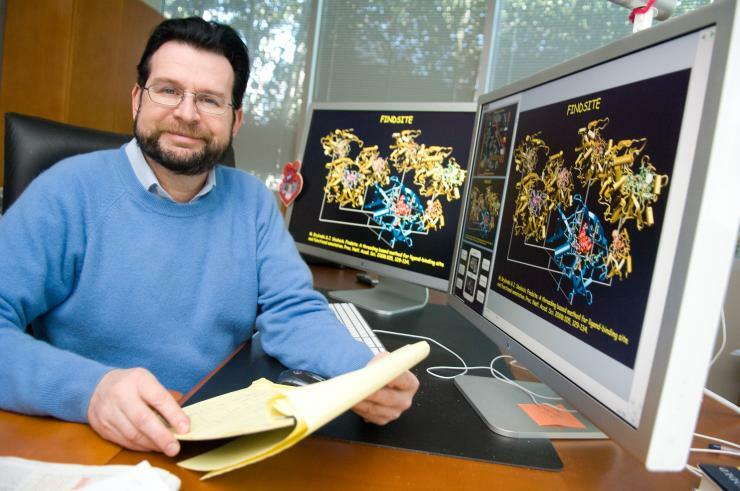 Skolnick is the author or co-author of over 350 journal articles in the fields of systems and computational biology and his cutting edge research on protein structure and function has provided remarkable insights into the relative roles of physics and evolution in dictating the properties of protein structure and function and holds the potential to dramatically accelerate and enhance the drug discovery process. Over his career, Skolnick has made significant scientific contributions. He developed the first coarse grained model for protein structure prediction, the first successful multiscale modeling approach to structure prediction, the first effective medium model for a membrane that enabled the successful prediction of peptide orientation and conformation with respect to the membrane, Fuzzy Functional Forms that were the first low resolution approach to protein function prediction, and the highly accurate EFICAz approach to enzyme function inference. His more recent work has significant applications to both drug discovery and to improving our fundamental understanding of the possible origin of life. The SURA Distinguished Scientist Award was established in 2007 to commemorate the organization’s 25th Anniversary and is considered its highest honor. SURA’s Development & Relations Committee manages the solicitation, screening and selection of the recipient for this award from a SURA member institution.